All aboard for a nautical adventure with the sailing furniture set! this collection features shades of sea, sky, and Sandy beaches-decorated with images of cheerful crabs, diving dolphins, soaring seagulls, and sailboats at full mast. 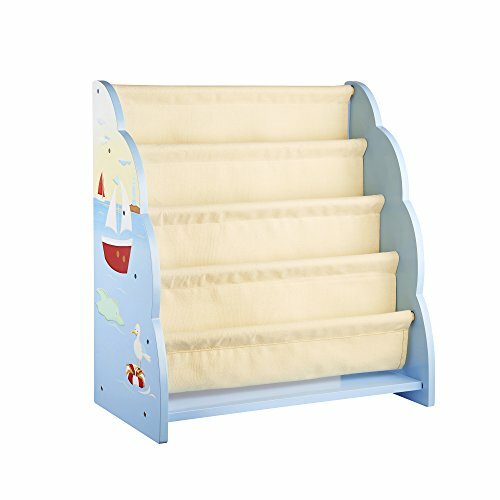 This free-standing book browser is perfect for storing books and magazines at a height accessible to younger children. Deep storage pockets are canvas for easy cleaning. Ideal for the bedroom or playroom. Adult assembly required. 22"W x 12"D x 24"H.